I’m thrilled to be hosting this month’s edition of the Multilingual Blog Carnival! We’ve been teaching our kids American Sign Language and Spanish, but we’ve also gotten to try French as well. However, one of the most important parts of learning another language is learning about the culture associated with it. For example, if kids learn American Sign Language without gaining an understanding of deaf culture, they can view ASL as nothing more than a novelty. If that happens, they can easily offend a deaf or hard-of-hearing person when they try to communicate. So for this month’s Multilingual Blog Carnival, I wanted to focus on why and how we should be teaching about world cultures. 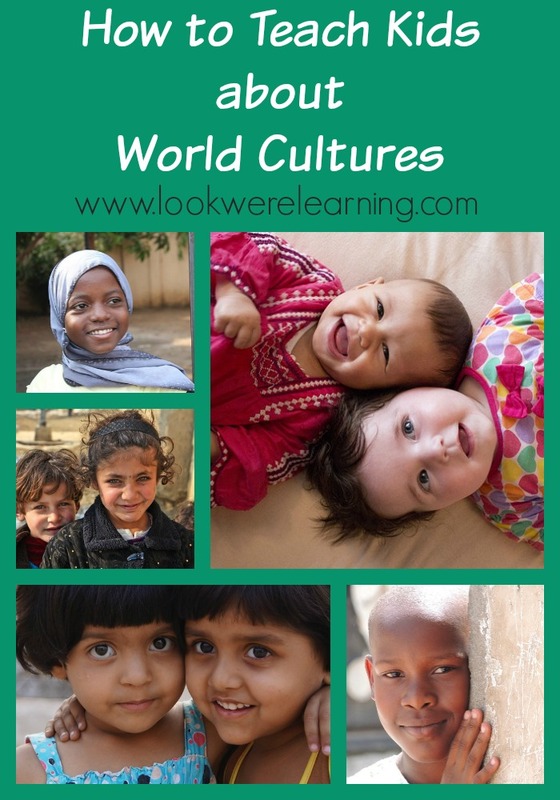 There are several great suggestions for approaching a study of world cultures for kids and I’m excited to share them today! Here are some great blog posts featuring reasons why we should teach our kids about world cultures and how we can do so! Be sure to stop by and show these great bloggers some love! 1. Marianna at Bilingual Avenue shares a great post for native multilingual parents about why they should retain their cultural connections and share them with their kids. We can even make language learning into a special bonding time with our little ones! 2. If we’re going to teach our kids to be multilingual, we can certainly start by teaching to appreciate the diverse nature of our world. Third Culture Mama shares her own experiences with neighbors and friends from other cultures and how she’s ensuring that her kids value and respect those differences. 3. Maria at Trilingual Mama has some great ideas for teaching our kids to respect international cultures, including making friends with other multicultural families, introducing kids to different cultures from an early age, and using Internet resources to teach foreign language and world culture. For even more tips on how to introduce world cultures to your children, try these books about world culture for kids! If you’re interested in hosting the Multilingual Blog Carnival, get the details and sign up here!